Discussion in 'iPhone and iPad Games' started by dalbertson, Sep 27, 2016. You are an author trying to finish kitschy paperback novels. Complete Westerns, Science Fiction, Romance or even a Crime Noir. Live the dream — and maybe pay the bills. 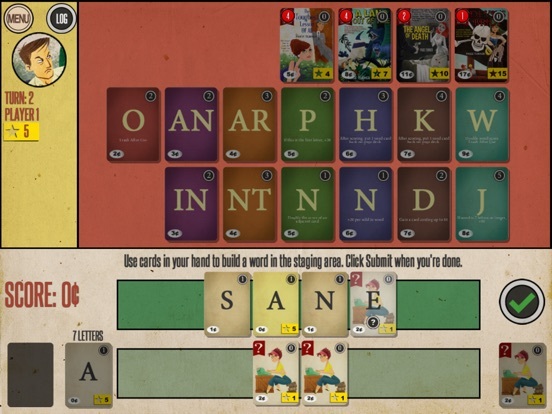 Word-building meets deck-building in the unique game Paperback. 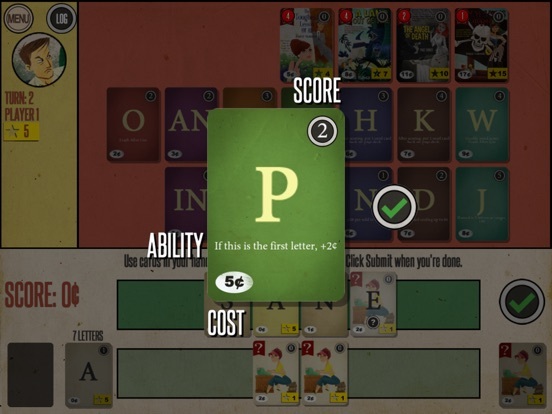 Players start with a deck of letter cards and wild cards. This is like their own bag of ‘scrabble’ tiles. With each hand of cards you make a word and score it. This score is how much money you have to purchase more cards for your deck. 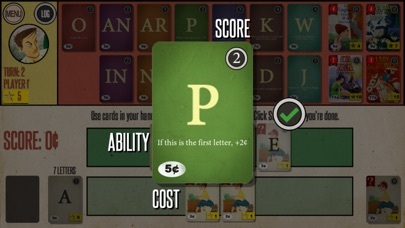 Collect cool letters with abilities, such as drawing more cards or double word score. Buy Novel cards to gain ‘fame’ points to win the game! Here's what people have said about the hit boardgame that is in it's fifth print run: "I've had this game for a month or two now and I honestly believe it to be one of the best games of the year." - HeirToPendragon "It seems impossible that this game didn't exist before 2014. So simple and so much fun to play!" - Crystal Pisano Features: • Hotseat play with up to 4 players • 3 levels of AI opponents • Tons of cool card powers • Classic pulp novel artwork • Win with wordsmithing or power combos - up to you! • Asynchronous multiplayer games with up to 4 players. Loving all the traditional (and non-traditional) board games coming to digital! Actually bought a physical copy recently, but haven't had a chance to play it yet, lol. Was waiting for this to hit! I'm downloading but it's late here so I'll check it tomorrow. Does it allow for multiplayer co op as well in hotseat, or only competitive? I believe the physical version had both options. I can't resist the combination of my two favorite things ...books and games! I'm also curious will this be mainly multiplayer/pvp ? I tend to prefer single player/campaign card games, unless the multiplayer is not connected to social media(FB). Downloaded looks like a nice implementation. Tutorial was a light set of overlay instructions, left a few things out, but the game is nit complex, so the rest is pretty obvious. Only single player vs AI at the moment. Multiplayer is described as coming soon. I wish this game was portrait. But it's really good. I'd like the AI turn to go just a bit faster. Normally I would be reserved over a board game port, but this is a great implementation of a great game! Very slick! Very different experiences. 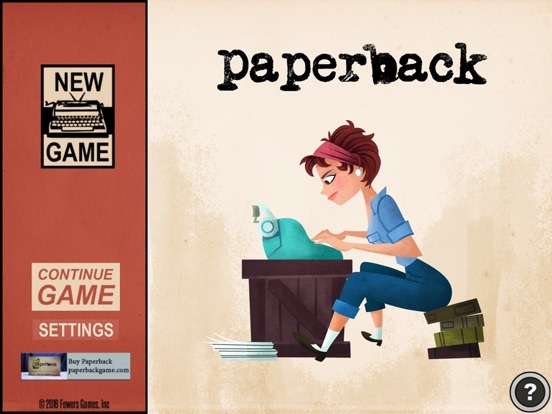 Paperback is a much "lighter" experience, but has the option for hot seat play and is the better choice to just crack open an app and have some fun for a few minutes. Frost is way heavier, both in terms of tone and also depth and a better choice if you are looking for something where you are going to agonize over every choice and struggle to survive. Only played the PC demo of frost so far and one quick round of paperback, but the quick take for me is that both are worth the money if they appeal to you. This isn't an "either or" type of choice because they are so different (but if you can only afford one, see the above). Hey thanks. I meant between the two games (playing them both) they're both so good...two awesome "card" games in one week! If forced to decide between Frost and Paperback, I think it's simply a matter of what you're looking for in your game. Frost is a stark, at times quite frustrating, solo survival card game with a lot of content to unlock. 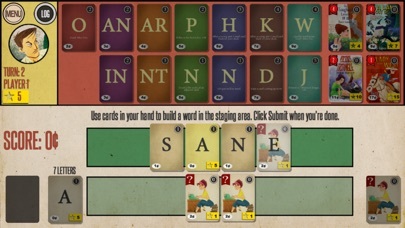 Paperback is a fun/solid port of a neat hybrid deck builder/word game. While only playable locally or vs. 3 levels AI at this point, it sounds like more mp options will be added in the vague and hazy future. The AI seems pretty competent but there is no stat keeping or anything to unlock, so to me, not as an engaging solo experience (but still a well made digital port of the physical game). This looks like one of those once a year type classics that really make an impression on you. Looking forward to playing it in a few mins. Curry: If you want to choose between this and Sushi Go! It depends on how much you want mulitplayer. I very badly tried to say that I bought frost and this game and I'm playing them both and I'm excited that two cars-themed games came out by surprise this week. 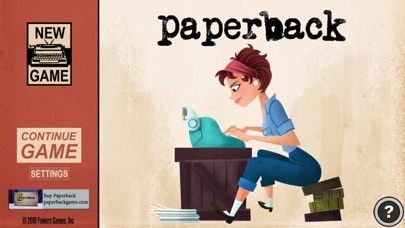 Also, I was pleasantly surprised to see the better typewriter icon, it's better than the lady's side profile. Figured you had (or would), just didn't want anyone to come away with that sort of impression. First bug(? ): I get only 1 cent and forfeit purchase, then the AI plays for 4 cards then stops playing the remaining card. Just once, also the paperbacks sometime are not properly highlighted if one gets sufficient score.